BROADEN YOUR BUSINESS’S HORIZONS WITH TEOWIN'S NEW MODULE. Discover Simsa's latest innovation which allows you to better control your production processes and to make your commercial procedures more agile, thanks to a set of portfolios updated in real time. View all relevant quotation and orders information, thanks to a reports and alerts system. Access any given information and filter the results according to your criteria with just a click of the mouse. Manage all business tasks with agility and standardise internal procedures. Make purchasing decisions easily and efficiently. Calculate the provision of supplies required according to sales orders. Manage purchases automatically and intuitively. 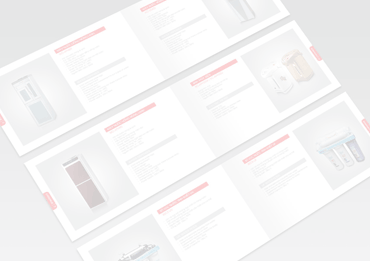 Visualise all the information pertainingto orders to manufacture. Control production orders with agility and distribute them across workstations. Manage production waste and stock materials. Organise production and track parts in real time. Easily manage shipments and parcels. Access the relevant information to manage stocks and semi-finished items manufacturing. Global portfolio system coupled with teowin to offer you more visibility and propel your business into the future. Teovision is included in teowin erp 2018, the most comprehensive specialised software on the market.